The trolleybus no. 07I of the German type MPE 1 lost by World War II on 25 April 1945. The photo show the trolleybuses no. 07I of the German type MPE 1 at the former terminal stop Artillerie-Kaserne (artillery barracks) in the quarter Ostend. 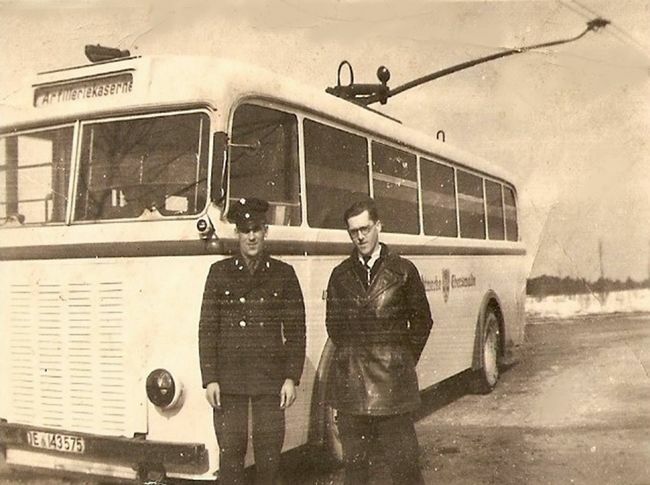 On the photo you can see Mr. Jozef Bruyninckx, a Belgian forced laborer, and an unknown trolleybus driver. The photo was probably taken up on 16 August 1944 and was kindly sent in February 2009 from Mr. Werner Bruyninckx Schoten/Belgium. The trolleybus no. 07II of the GDR-type LOWA W 600 was reserve from 1963. 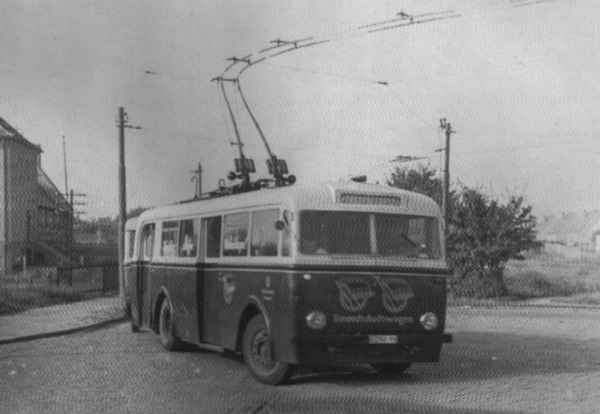 The trolleybus was lettered with several signs of the Society of German-Sovjet Friendship and was named "Freundschaftswagen". The photo shows the trolleybus no. 07II of the GDR-type LOWA W 600 on the former line Westend-Ostend by the entrance into the turnaround loop Ostend. The articulated trolleybus no. 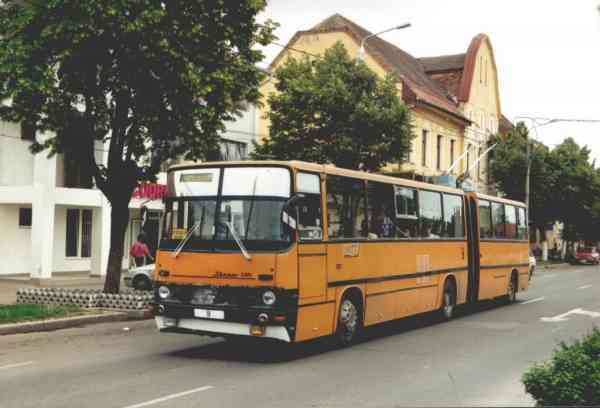 007 of the Hungarian type Ikarus 280.93 was sent on 28 August 1995 further to Timisoara/RO and had there the car no. 9. The next photo show the articulated trolleybus no. 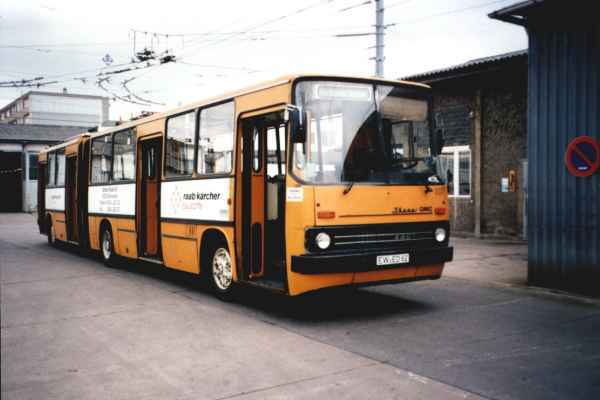 007 of the Hungarian type Ikarus 280.93 at the depot Eberswalde/Nordend. The photo show the former Eberswalde articulated trolleybus no. 07III of the Hungarian type Ikarus 280.93 in Timisoara/RO with the car no. 9 on 31 May 2001.